LAST CHANCE for these Sale Items! We are so glad you have enjoyed the major sales on our Communities Bookstore items. Many of you have taken advantage of the great offers to stock up on your personal, community, or neighborhood library. Great work! Our sale’s last day is tomorrow, January 31 and many of our books and DVDs will return to their regular retail price. Don’t miss out on the following sales! And be sure to check out the full list sale items at our Sale page. 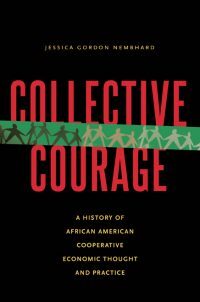 Collective Courage – A History of African American Cooperative Economic Thought and Practice examines the history of early African American cooperative roots, the development of cooperatives in the twentieth century, and current twenty-first century practices and solutions. With the use of newspapers, journals, articles of incorporation, memoirs and much more, author Jessica Gordon Nembhard brings life and story to a part of history that has all but been forgotten. is a multi-media social movement that features projects, organizations, and community leaders inspiring us to engage in a regenerative future through dialogue, collaboration, and innovation. This beautiful book is a pleasure to flip through with 352 pages of full color imagery and photography. Enjoy essays, interviews, and inspiration from 60 authors, and art from 14 visionary artists of diverse generations and cultures. Rise Again Songbook is the sequel to the original “Rise Up Singing” created by Peter Blood and Annie Patterson. Like the original, Rise Again contains words & chords to 1200 songs with no overlap of songs featured in Rise Up Singing. Folk, pop, rock, sacred, showtunes, country, soul and more perfect for your community’s gatherings and song nights. 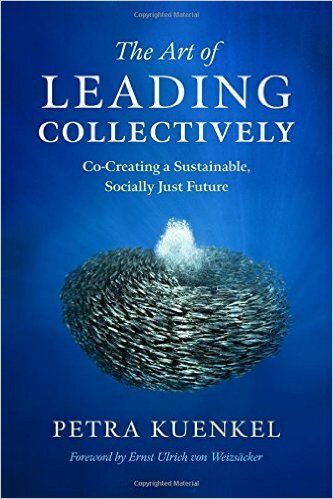 Art of Leading Collectively: Co-Creating a Sustainable, Socially Just Future offers many examples of collective leadership efforts involving corporate, public, and nonprofit sectors around the world. Readers learn about real-life examples, such as the processes that led to a sustainable textile alliance or advanced global seafood sustainability, as well as those that helped nations rebound from war, develop sustainable infrastructure, and tackle resource conflicts with global businesses. Designing Regenerative Cultures explores ways in which we can reframe and understand the social and ecological crises that we currently face, and how to live our way into the future. Moving from patterns of thinking and believing to our practice of education, design and community living, author Daniel Christian Wahl systematically shows how we can stop chasing the mirage of certainty and control in a complex and unpredictable world. Ecovillages: 1001 Ways to Heal the Planet takes you on a journey to discover the colorful diversity, and successes and failures of ecovillages across the globe. “Ecovillages” interviews founders or long-standing members of ecovillage communities and highlights regional or national networks of ecovillage transition. Serving as an inspiration to its readers, the book is also intended as a learning resource, offering tactics and methods that ecovillages found useful. Also on sale this month: every DVD has been discounted, Communities magazine back issues from 2014 and beyond are now only $4 each, or buy a BUNDLE of books at a discounted rate! ← Help share the Wisdom of Communities with the world – crowdfunding!